Energetic. Thoughtful. Inspiring. Everyone can take a lot from it. This is a "must" workshop for everybody who wants to learn fast and respond to modern world challenges. Just great! Well structured exercises. PopcornFlow could be the tool that fits where other techniques can't. Very refreshing experience. Now I have a way to do a "retrospective" every day. Katarzyna Sekowska - Software Developer at Motorola Solutions Inc. This is a great idea supported by an excellent process. It helped me think like a scientist! I'm going to use PopcornFlow everywhere! If you want to know how to start a transformation more efficiently - try this. The whole world is on the move. Are you evolving fast enough? Have we released it yet? Do we have the right mindset? Fear to f*** things up. Not much time for reflection. Is failure ever celebrated here? Are we efficient? More importantly... Are we effective? Are we still here? For how long? Have we plateaued? Can't we do even better? We've been there. The list can go on and on. 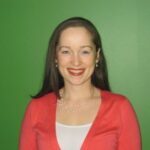 PopcornFlow brings an anti-fragile philosophy, principles, actionable techniques and tools to fight organizational inertia and innovate like some of the best and most aggressive Lean startups around. The goal of this workshop is to help you develop the skills to introduce change and innovate inside and outside your workplace through a disciplined approach to ultra-rapid experimentation. Use PopcornFlow as a visual communication/mentoring system to reach wider consensus and take better decisions with peers, managers and/or reports. Be able to facilitate very effective retrospectives for both co-located and distributed teams. Collaborate with other teams to create, co-create, "buy" and trade options. Use solid metrics to demonstrate increased team agility and progress. 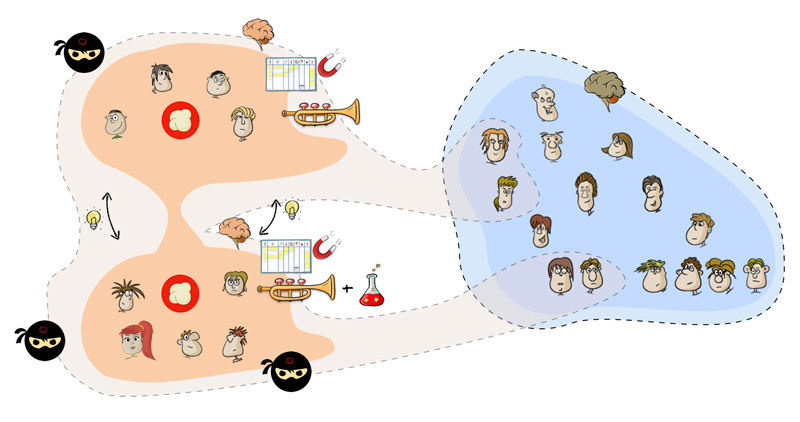 Use stealth & virus-like strategies to safely absorb potentially risk-adverse dominant mindsets. Easily integrate with and accelerate other company initiatives/transformations/continuous-improvement efforts. Use PopcornFlow's experiment board to integrate and/or replace other Lean Startup tools to sustain continuous product innovation. My teams love PopcornFlow! It’s helping them become more self-organized and more agile. We are already seeing major gains. At our last check-in, I asked one of my teams to describe the mood of the past couple weeks. Their words: "Focused. Chill. Rockin’. Inspired." One of them even said it’s like a fog has been lifted, and they have vision again. ​PopcornFlow enables self-organized rapid change like nothing else I've seen or used. It promotes collaboration and develops collective intelligence. The course is typically offered as 1-day training seminar for max. 20 people to ensure plenty of interactivity. Participants will move, speak, draw, listen, write and, of course, experiment! Other configurations/customizations are possible on request. This is a practical, action-learning workshop focused on real problems, not simulations. Participants bring problems they face right now! It is highly interactive and learner-centered. 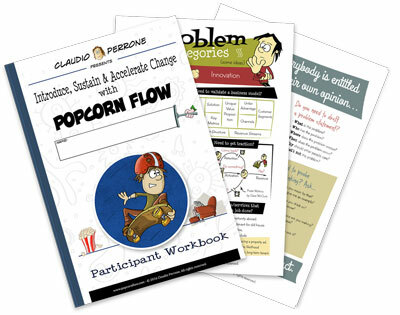 It includes individual and group activities to actively involve participants in learning the PopcornFlow approach and allow them to practice in a safe and fun environment. Slides, handouts and flip charts are used throughout the workshop to share stories, rapidly build the foundation and kickstart practical group activities. A full-color workbook with many exercises and individual activities. The latest version of the PopcornFlow Action Deck . 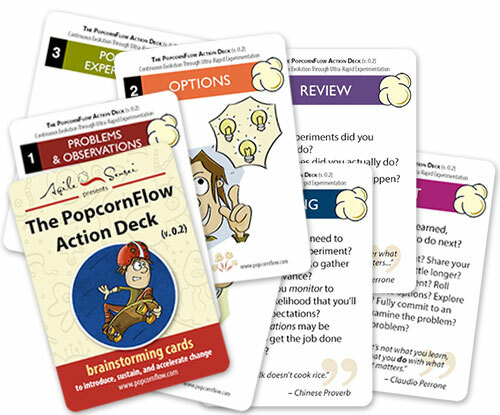 The PopcornFlow Action Deck consists of a mini-set of brainstorming cards to help you setup and launch experiments very rapidly. It's a very effective tool, particularly to launch 1-on-1 problem-solving conversations anywhere (including Irish pubs with a good pint at your side ;-)). The deck is currently only available as part of this workshop. It can't be bought. I has to be earned. 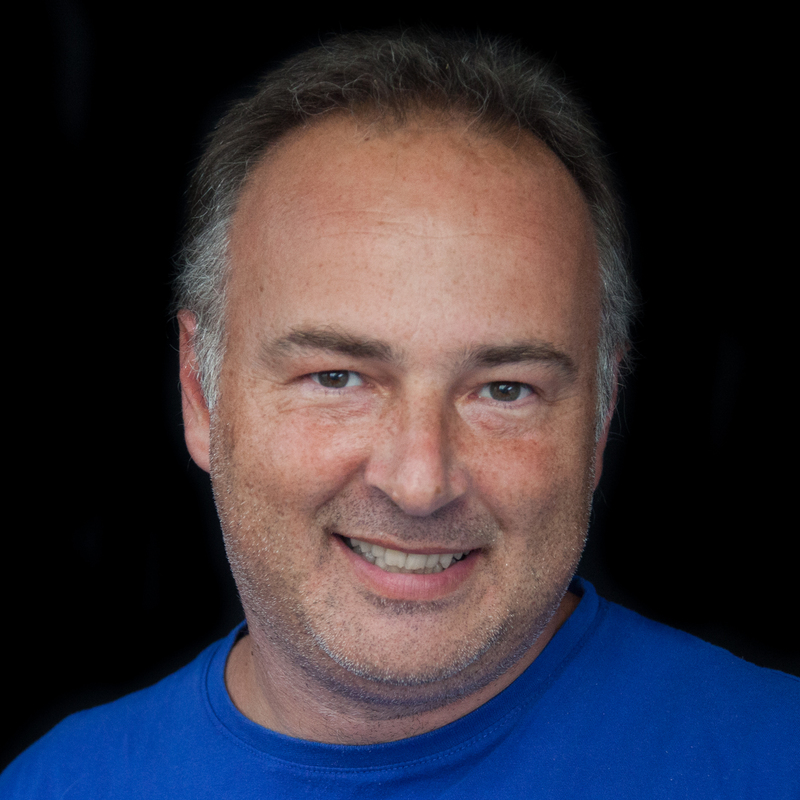 Claudio Perrone (aka “Agile Sensei”) is an internationally-recognized Lean & Agile management consultant, entrepreneur and startup strategist who helps companies experiment so their business grows. In his career, he has been playing key roles in Lean & Agile transformations for global organizations and fast-growing technology startups. Claudio is an award-winning keynote speaker, frequently invited at major international conferences across the globe. His Lean thinking tools are used by hundreds of companies worldwide, including Toyota, Spotify, Honeywell, Nissan North America, McKinsey, Skype, BearingPoint, Siemens, Capital One and many others. 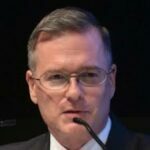 He is a Fellow of the Lean Systems Society, Brickell Key Award finalist, author of A3 Thinker, and the creator of PopcornFlow, a next-generation Lean & Agile model to introduce, sustain and accelerate change through ultra-rapid experimentation. Amazing workshop about continuous change. More than a new set of tools, it's a new way of life! It was amazing. I love the way Claudio communicates and the concept of discussing options, not solutions. 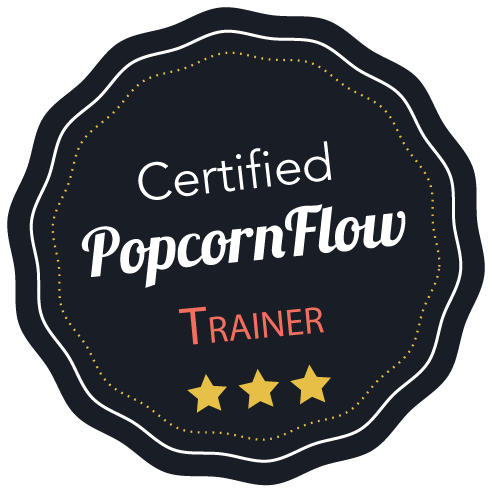 You should try PopcornFlow in both your professional and personal life. Claudio really knows how to keep the participants interested. He gets people to interact easily in a very natural way. I came out of the workshop with my mind full of ideas and a smile on my face. Let's think outside of the box and change the world! 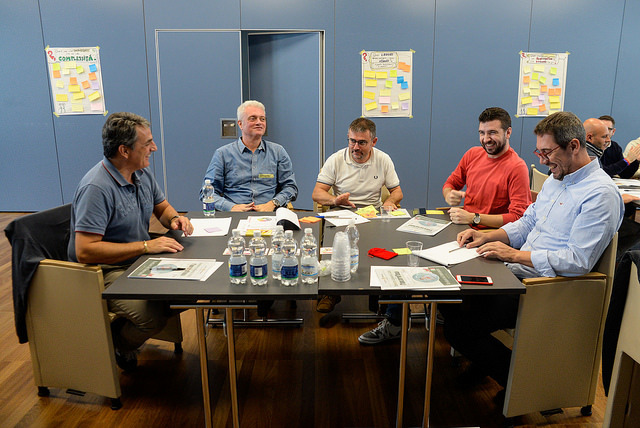 The workshop allowed my colleagues and I to work on real problems that affect our daily work and to create a number of experiments to try. I learned how to easily and playfully streamline the process of continuous innovation. 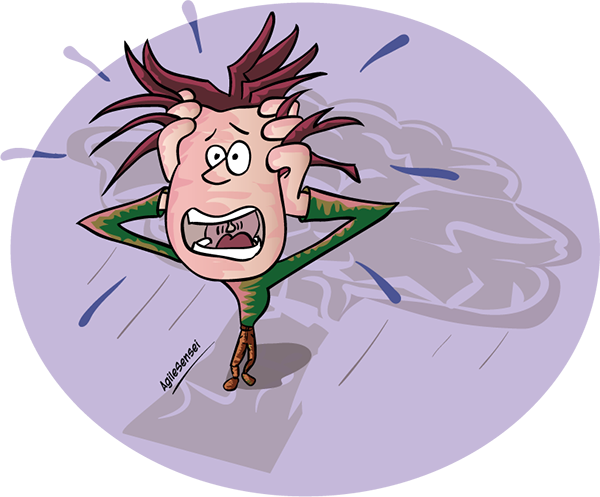 Don't know how to implement change in your organization? Hire Claudio!